Biblioteque is one of the four rentable treehouses at Treehouse Utopia, our Texas Hill Country Retreat. Watch Biblioteque come together in this timelapse video of the build. Carousel is Treehouse Utopia’s most whimsical treehouse, imbued with cheerful colors and one-of-a-kind fixtures, including a chandelier made from a vintage carousel horse. 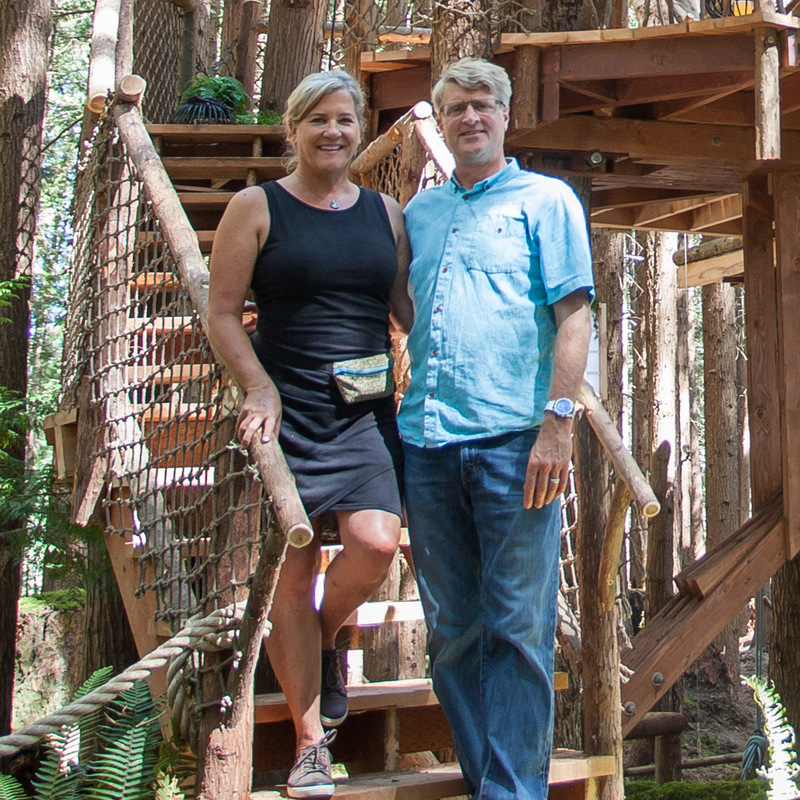 Join Pete Nelson and Laurel Waters on a tour of this rentable treetop retreat. Chateau is grand, opulent, and the largest of the four treehouses at the Texas Hill Country retreat—its two stories hold a spacious deck, sitting room, bathroom, and winding turret to a luxurious bedroom. Join Pete and Laurel on a video tour! Treehouse Utopia Now Open for Reservations! The day has finally come: Treehouse Utopia is now open for reservations August-December 2018! Click for a video from Pete Nelson and Laurel Waters, answers to FAQ, and reservation information. What are the treehouses like at Treehouse Utopia? We are mere months away from the opening of Treehouse Utopia in Texas Hill Country! Treehouse Utopia will have four luxury treehouses available for overnight stays. Join our crew in an all-new video for an overview of the progress and features of these four stunning treehouses. Our crew has been working hard to get the retreat ready for its scheduled opening this summer. The four idyllic treehouses are blossoming, with the final treehouse, Carrousel, already in the works. Catch up on the ongoing progress of this romantic retreat. What do 5,500 pounds of steel, a lotus flower, and nine heavy-limb TABs have to do with our next treehouse at Treehouse Utopia? Find out in our behind-the-build video! Next at Treehouse Utopia: A Chateau and Library in the Trees! Step into our carpentry shop to see what went into prefabricating components for Chapelle, the first of four rentable treehouses at Treehouse Utopia.